How to Sync BuddyPress XProfile fields? Turn on “Sync Meta Updates” from Memberium->Settings->Performance. Go to Memberium->Sync Options->BuddyPress Fields and choose the Infusionsoft field which you’d like to sync with. Note: Always make sure your BuddyPress and Memberium are updated to the latest version if you find something not working as per your expectations. In case you need any assistance or help, please do let us know here and we’ll be happy to help :). How Do I Update the Memberium Plugin? 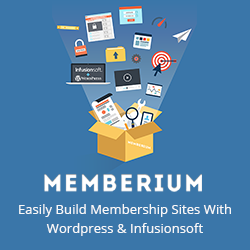 You can update your Memberium to our latest release by going to your WordPress admin screen->Plugins and searching for Memberium and hitting update. Alternatively, you can update your Memberium to our latest beta from Memberium -> Support -> Updates tab -> Memberium Manual Updater and selecting the very latest version from the dropdown. While updating to our latest beta, you’d need to make sure that you check confirm update before hitting save options to complete the update process. 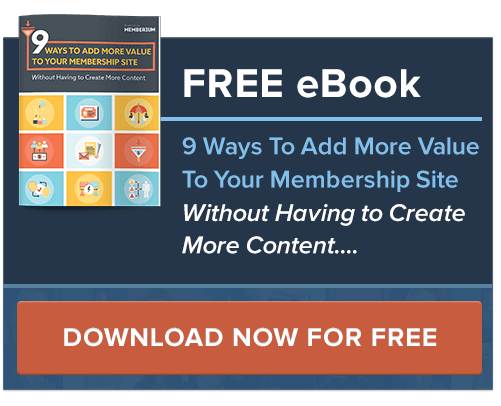 How can I upgrade my Memberium Subscription? 1) Name of the Infusionsoft application or domain that you’d like us to license. The Infusionsoft application name is within your Infusionsoft link. For example, if you use xyz.infusionsoft.com, your app name will be xyz. 2) A confirmation if we can go ahead and use your existing card on file to do the upgrade. 3) You’d also need to let us know which plan you’d like us to upgrade to. You can read about the subscription plans memberium offers here. Once we have all the details, we will pro-rate your current subscription based on unused days and add it as a credit to the new subscription. In case you have any other questions, don’t hesitate to let us know here and we’ll get you taken care of. How to I Upgrade or Downgrade My Memberium Account? If you’d like to upgrade or downgrade your Memberium account, just contact support from the email address you used to purchase Memberium and let them know your license type and which license type you’d like to switch to. You can move between types of licenses (for example, switching from a Standard license to a Pro license) or you can move between frequencies of payment (for example, switching from paying monthly to instead paying yearly). In these cases, we will apply any unused portion of a payment you’ve made toward the new license. For instance, if you just paid for your monthly account yesterday and decide to switch to a yearly account, we’ll take your monthly payment and apply it as a credit toward the yearly payment amount and charge you the difference when setting up your yearly subscription. How do I add a Log in / Log out link to my main navigation menu? Click the below link to see how to add a log in link for non logged in members, and have a log out link only be visible to logged in visitors. How Do We Get WPEngine to Work With Memberium? We’ve written a sample ticket that you can copy & send to WPEngine support to prepare your hosting account for Memberium, click here to see the full instructions. Does Memberium work with the latest version of WordPress? Memberium requires no upgrades in order to work with WordPress from versions 3.9 or later. Memberium does not require “Sync Releases” for compatibility either. Yes, Memberium is both mobile-friendly and compatible with responsive design. How do you pronounce Memberium? What is that?! The name Memberium is a play on the various hard but light metals used in industry, such as aluminum (aluminium) and titanium. The suffix “ium” is also used to indicate the setting where a given activity is carried out, such as your membership site. An example would be a Gymnasium or Stadium. We like to think of it as “Member”-“ium”, it’s the raw material you build your website with. What if I need help setting Memberium up? We provide free installation for Memberium when a license is purchased. As part of your checkout process, we’ll ask you a few questions and give you the option to take advantage of the free installation offer. If you prefer that you or your team install the software we’ll be happy to answer any questions you may have.